Devoto Orchard Cider from Sebastopol (CA) is proud to announce the release of their 2013 “Save The Gravenstein” hard cider, handcrafted from organic apples grown on the Devoto family farm in Sonoma County. “Save The Gravenstein” is a standout amongst craft ciders – a semi-dry, locally grown and produced, food-friendly cider with an elegant modern visual brand appeal. “Devoto Orchards Cider is amazingly crisp, with a lovely fresh Gravenstein tartness, complemented by a great dry finish. Definitely worth grabbing one, or two…” stated Shawn Riley, Beer Buyer for Oliver’s Markets in Sonoma County. 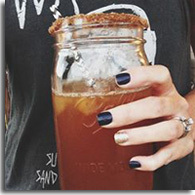 Founders Jolie Devoto-Wade and Hunter Wade are second generation apple farmers, who were inspired to start a hard cider company after laying down roots at the Devoto family farm. They began with 6,500 apple trees in 1976 and have grown nearly 100 varieties of heirloom and cider apples including the centuries-old Gravenstein [that has limited availability in Sonoma County due to the replacement of orchards with vineyards]. Today, they tend to 50+ heirloom apple varieties on 26 acres. 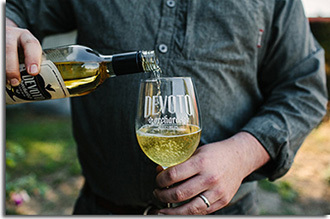 Devoto Orchards is a small family farm and cidery, but the largest cidery in California that uses exclusively California-grown certified organic apples. “Save The Gravenstein” is made of 95% Gravenstein and a 5% blend of Akane, Burgundy, Hubbardston Nonesuch, Pink Blush and Pink Pearl apples. In August, when the Gravenstein apples are at the peak of their ripeness, the apples are picked, pressed and poured. 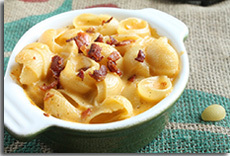 The result is a 6.9% ABV cider that pairs well with seafood, pork and sharp cheeses. “Our ‘Save The Gravenstein’ cider is a gorgeous expression of our land, our apples, and our story. Craft cider will help us continue farming apples for generations to come,” states Jolie Devoto-Wade, Director of Sales and Marketing. 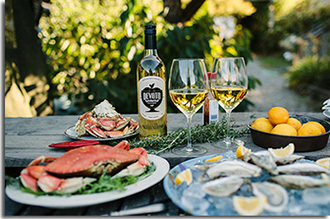 If you would like to get your hands on a bottle, you can find 750mL bottles retailed at $12.99 throughout the Sonoma, Santa Cruz and San Francisco counties. Visit DevotoCider.com for additional information on “Save The Gravenstein” and other Devoto ciders. All photos by Kimberley Hasselbrink courtesy of Devoto Orchards Cider. Blake’s Orchard and Cider Mill announced the opening of The Ciderhouse and Winery, serving a brand new line of hard cider made from Blake’s apples. The Ciderhouse officially opened in October to serve through the holiday season. Blake’s Orchard and Cider Mill has been family owned and operated since 1946, providing local products including apples, berries, and pumpkins amongst other things. In the fall season, the farm also provides family fun and entertainment including hayrides, corn field mazes and more. 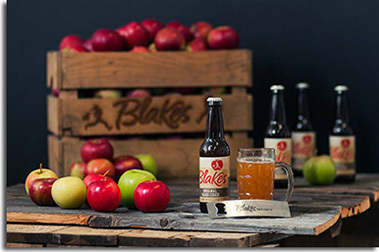 This fall season is the first that Blake’s served its new line of original hard cider. The hard cider will feature four varieties all made with Blake’s apples: Original, Gentlemen’s Dry, Semi-Sweet, and Autumn Apple. Average ABV for the ciders will be approximately 6.4%. All varieties are gluten-free. The Ciderhouse and Winery will serve the hard cider along with seven varieties of fruit wines, ciderkin (non-alcoholic sparkling cider) and s nacks. 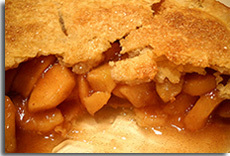 The Ciderhouse is located at Blake’s Orchard and Cider Mill in Armada (MI). The new ciderhouse is made out of all natural woods, repurposed metals, and presents a rustic family-friendly tasting room. The Ciderhouse will be open through December during the afternoons and evenings, with future plans for remaining open all year. 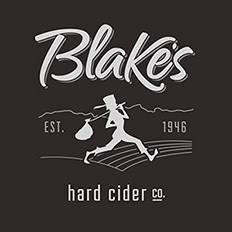 Blake’s hard cider is only available at The Ciderhouse currently. However, the orchard and cider mill has hopes to distribute early next year. To learn more about Blake’s Orchard and Cider Mill, and specifically The Ciderhouse and Winery, please visit BlakeFarms.com or BlakesHardCider.com. 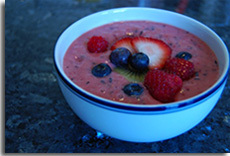 Photos provided by Blake’s Farm. 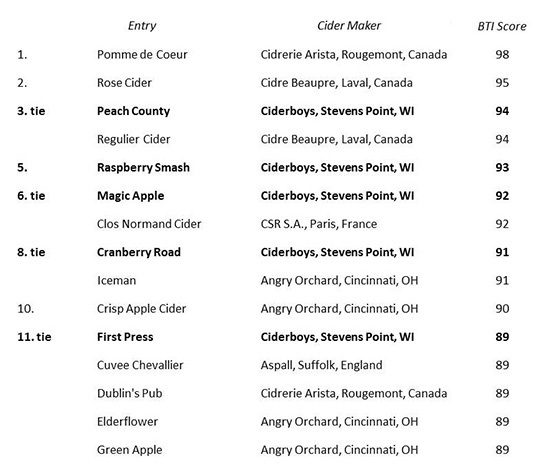 America’s best-tasting hard ciders are produced by Ciderboys Cider Co., according to Chicago’s Beverage Testing Institute (BTI). The BTI’s expert judges taste-tested hard ciders from North America and Europe during October and bestowed four gold medals – the most for any cider maker – on Ciderboys’ Peach County, Raspberry Smash, Magic Apple and Cranberry Road hard ciders, which blend unexpected fresh fruit flavors with the crisp taste of apple. 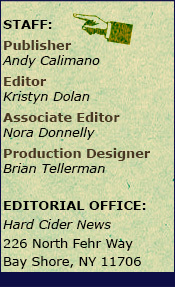 Ciderboys First Press Traditional Hard Cider earned a silver award. 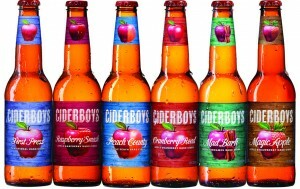 The BTI’s hard-cider judging, part of the institute’s ongoing World Beer Championships quality rankings, was the very first beverage competition Ciderboys Cider Co. has entered. The results are available online at www.tastings.com and will be published in All About Beer magazine in early 2014. Grizzly Ciderworks proudly announced the release of its first selection of craft hard ciders brewed and kegged from the company’s headquarters in Woodinville, Washington. Since its inception, Grizzly has set its sights on bridging the gap between beer and cider. With an abudance of sweet ciders on the market, Grizzly set out to expand cider’s reach by introducing beer drinkers to the world of dry cider. Grizzly wants to be known for its specialty dry-hopped ciders (DHCs’), which contain apples from Washington State along with hops and other ingredients sourced from the Northwest. 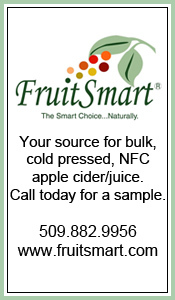 The resulting beverages are aimed at beer drinkers who are looking for a new twist on old tastes, cider drinkers who are looking for a full-bodied step-up in the market, along with drinkers who are sensitive to gluten. Endowed with the nation’s largest supply of apples and hops, Washington State is an epicenter of the nation’s growing cider movement. “The world is rediscovering cider, and the Pacific Northwest has established itself as one of America’s leading cider regions. The explosion in the number of cider drinkers and the places where it can be enjoyed are a sure sign cider culture has found a home. We are excited to welcome Grizzly Ciderworks as the newest member of our Northwest cidermaking family,” said David White, President of the Northwest Cider Association and Co-Owner of Whitewood Cider C ompany of Olympia, Washington. 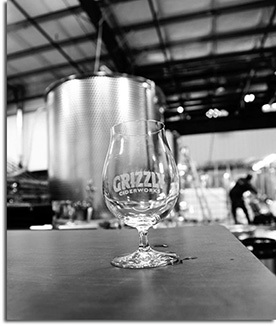 Grizzly’s path to craft took an interesting turn earlier this year when it crossed paths with Vessel Wines, a Northwest producer of kegged wines which shares the same commitment to local sourcing and production. A unique partnership was born, with the two sharing resources to target new markets. Thanks to Vessel’s state-of-the-art kegging equipment, Grizzly is already on tap in bars and restaurants across the Seattle metro area, and they have plans to hit retail markets early next year. Grizzly and Vessel’s shared facilities are located in Woodinville. They include a tank room and mezzanine taproom, both of which are frequently filled with interesting people, music, and other live events. Grizzly is poured nightly in the taproom from Thursday through Saturday. The Ridge and Bruin are already available but Hopclaw and RazzBear are to be released. For more information about Grizzly Ciderworks or their ciders, please visit GrizzlyCider.com. Now, in their third year of production and first full release of hard ciders to the public, Bull Run Cider has made a name within the community of Northwest cider enthusiasts and is pleased to be expanding their reach into new restaurant and retail channels with the recent release of all new half barrels and sixth barrels of their popular Bramble Berry Cider, Powerhouse Dry Cider and all new Cranberry Perry. As a limited release seasonal perry, Bull Run is pleased to introduce the Cranberry Perry to its line of premium products. In partnership with Mt. Hood Organic Farms, this semi-sweet perry is made from organic pears and finished with a touch of cranberry. The mellow sweetness of the 5.5% ABV perry is perfectly offset by the tartness of the cranberry to create this well-balanced, delicious beverage. 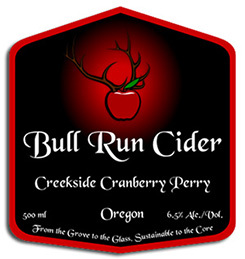 The Cranberry Perry, along with Bull Run’s signature Bramble Berry and Powerhouse ciders can be found at local retailers and restaurants in the Oregon market including Whole Foods, Zupan’s, New Seasons, Bushwackers, Belmont Station and Made In Oregon along with other high quality retailers throughout the state. 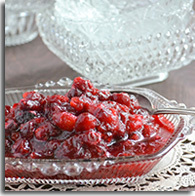 Creekside Cranberry Perry is sold in 500mL bottles for a recommended $6.00 per bottle. Bull Run will also be expanding their distribution to include California and Washington and are expected to begin rolling out product in these new markets within the fourth quarter. Furthermore, Bull Run’s co-owners are actively seeking new distribution channels to expand the company’s reach to the Mid-West, East and South. For more information, visit BullRunCider.com. 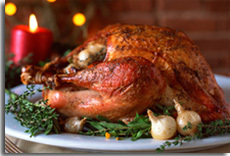 This Thanksgiving, “think outside of the box” as you select the recipes you will make for your meal. Perhaps that means substituting water for cider… Perhaps it means drinking (more) cider versus wine or beer… However you may interpret the phrase – “think outside of the box” – your challenge this holiday is to include hard cider in your cornucopia and on your Thanksgiving table. 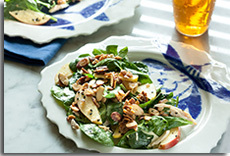 As you find recipes including hard cider and make them, please consider sharing them with Hard Cider News. 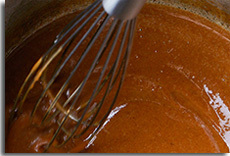 “Post/Message” your recipe(s) along with a photo of the dish to our Facebook page, Hard Cider News. We’ll feature some of our favorites in future e-newsletters!